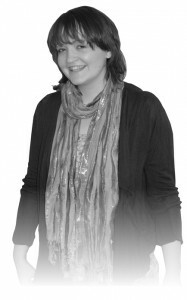 Jen got involved with radio when studying for her undergraduate degree at the University of Sheffield. She signed up for Forge Radio during Freshers’ week and has not looked back since. Her first show was called Jen at Ten, a specialist chill out music show. From here Jen’s enthusiasm and confidence grew. She went on to present a number of shows including playlist and specialist music shows along with spoken word and live outside broadcast events. She was lucky enough to be elected as Head of Music, a role that she thoroughly enjoyed. It was a great experience to give back to the station that had fuelled her passion. Jen was also lucky enough to be nominated for an SRA Award in the Best Female category in 2009. As Jen’s passion for radio kept growing she was fortunate to be elected to Station Manager in her final year at Sheffield University. Although at times it was stressful combining a Maths and Physics dual degree with being Station Manager it was a brilliant experience and it was this that made Jen realise that radio was the career she wanted to pursue. After three years of fun, she found she had a real passion for creating and producing exciting radio. Whilst studying Jen also presented a show for the community radio station, Sheffield Live with fellow Forge Radio members. She presented a request show on HBS Radio, the local hospital radio station too. Both of these experiences were great fun and allowed her to experiment with producing radio for different audiences.